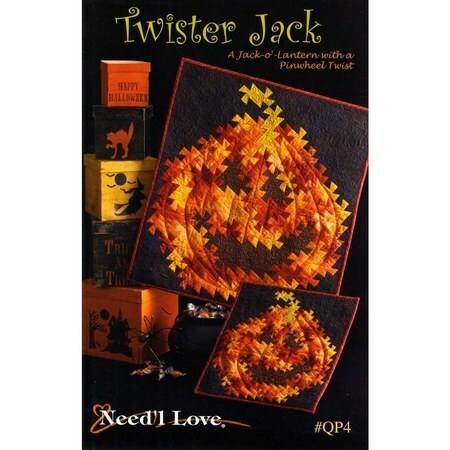 Use this Jack-O-Lantern pattern to make a large 24" x 26" quilt or a small 14" x 15" wall quilt. The perfect addition to your Halloween decor. This pattern requires #PRI321 Itty Bitty Twister and #PRI946 Primitive Pinwheel.